Local artist Susan Donahue presents her series of oil paintings, “Ten Views of Mt. Gardner” at the Lost River Winery tasting room from January to June of 2017. There will be an artist’s reception at the winery on Sunday, January 29, 2017, from 2:00 pm to 5:00 pm. 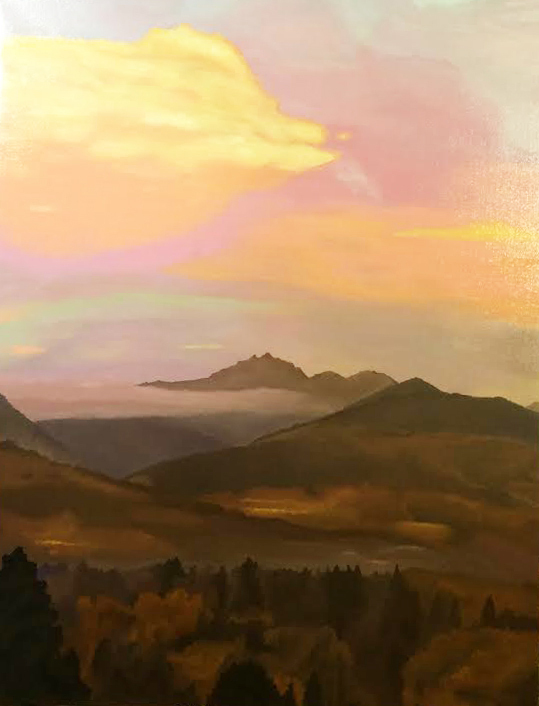 The series was inspired by the view of Mt. Gardner from her home in Winthrop and depicts the mountain in various seasons, times of day and formats. None of the paintings has been previously shown and all are done in oil on linen canvas. All but one of the paintings are framed, and all are for sale. Painting titled “Mt. Gardner Autumn Sunset”.